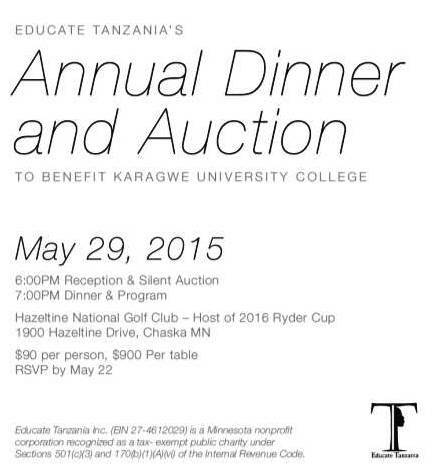 Educate Tanzania » May 29th – ETI Fifth Year Celebration! May 29th – ETI Fifth Year Celebration! Two weeks from tonight! May 29th – Hazeltine National Golf Club, Chaska – Join us! or email: [email protected] and one of our friendly volunteers will get you signed up.